This twenty-five suite lodge offers all the necessary trimmings needed for that well earned, relaxed getaway or professional business seminar. With private patios and panoramic views, the beauty of the surroundings can be enjoyed from the comfort of your room. Indigenous forest walking trails, forest picnics, trout fishing, mountain biking. 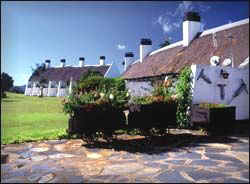 All rooms overlook the Mount Sheba Nature Reserve. 10 Standard Twin Rooms (split level with a lounge). 3 of the twin rooms have sleeper couches in the lounge which can accommodate two children. 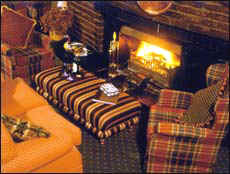 Fireplaces in all the rooms. Private porch or balcony off all rooms. Bathroom with luxury bath and separate shower. TV with selected DSTV channels. The suite is the most luxurious room at Mount Sheba. Private bar facilities in the room. Room size is bigger than the standard rooms.